We are excited to open a new camp in the Dominican Republic, where there is much need. Half of Dominicans younger than age 18 live in poverty – struggling to get enough food, access to safe drinking water, and adequate housing. Only 30% of children finish primary school and only 18% finish secondary school. Much of the Dominican Republic is considered beautiful in tourist brochures, but in reality, there is deep poverty of spirit among those who live there. 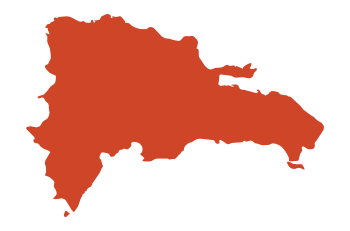 We desire to bring the love of Christ to children in the southwest region of the Dominican Republic.